URE-BOND™ II, Urethane Adhesive | Smooth-On, Inc. Premium performance urethane adhesive compound that offers a strong flexible bond between many different surfaces. 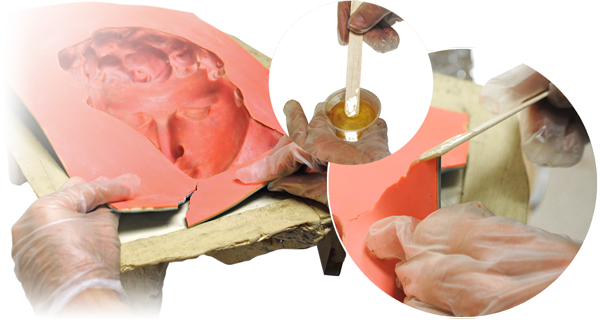 URE‑BOND™ II is ideal for adhering polyurethane rubber and other polymer products to many types of substrates (such as plaster, wood, cement, stone) and non-porous materials (such as glass, hard plastics and a variety of metals). 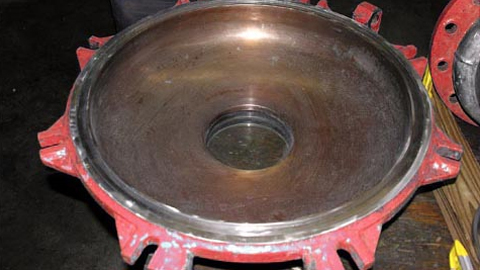 URE-BOND® II has also been used to repair torn polyurethane molds. 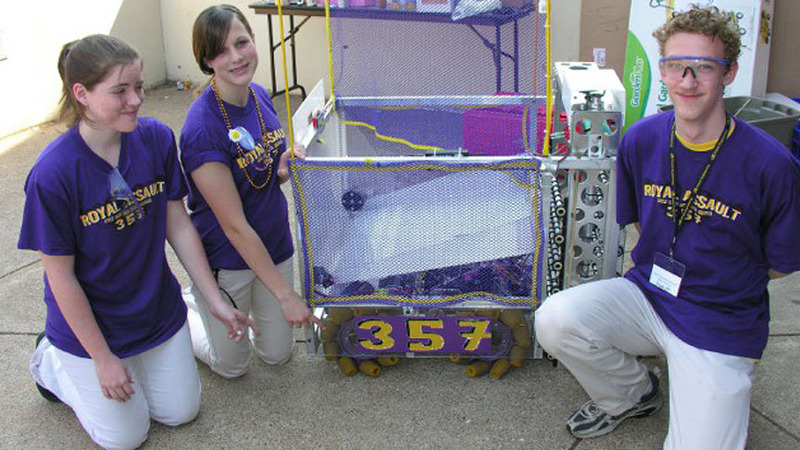 Working time is 5 minutes at room temperature (72° F / 22° C). 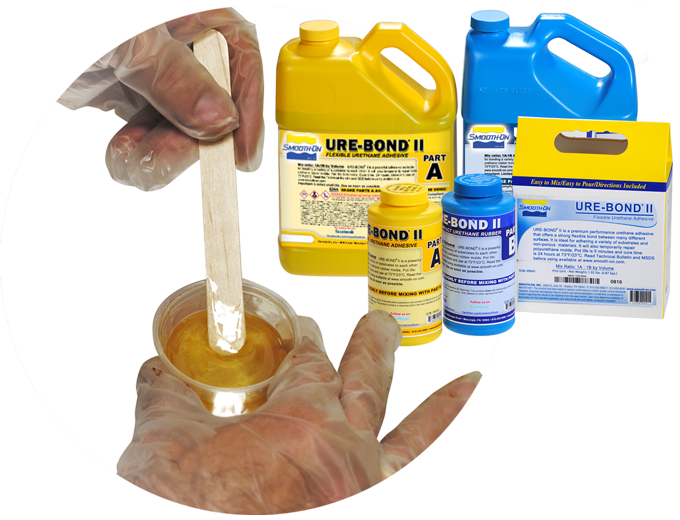 Once mixed and applied, URE‑BOND® II takes about 60 minutes to cure and yields a strong, flexible bond.